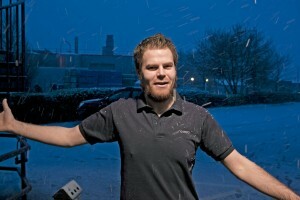 Enjoying the snow as it starts to come down early doors. 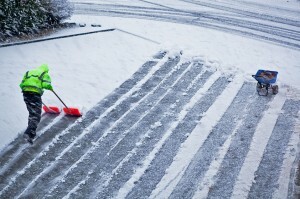 Our hard working warehouse staff making sure all the car parks are cleared and ready for any crazy shoppers willing to part with their homes! 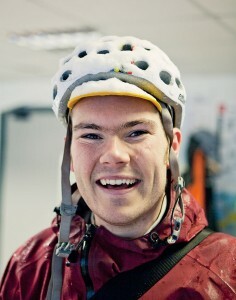 Alex our Finance Manager, a dedicated cyclist sporting his luscious snow helmet. 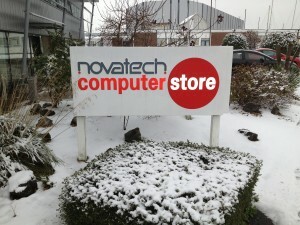 The Portsmouth store sign surrounded by snow. 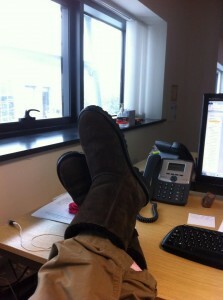 Nothing valuable here, just looks ok.